For the last 4 years, Bernard Decré has been searching off the coast of Saint-Pierre-et-Miquelon for the wreck of a plane in which 2 French pilots, Nungesser and Coli, might have made the first Atlantic crossing 12 days before Lindbergh. 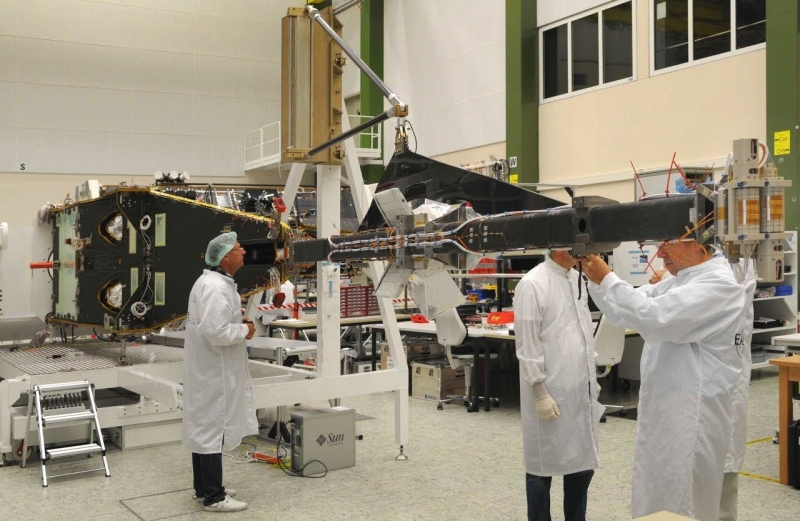 Next spring, CNES is set to supply the ASM magnetometer from the Swarm mission in an attempt to find their biplane. 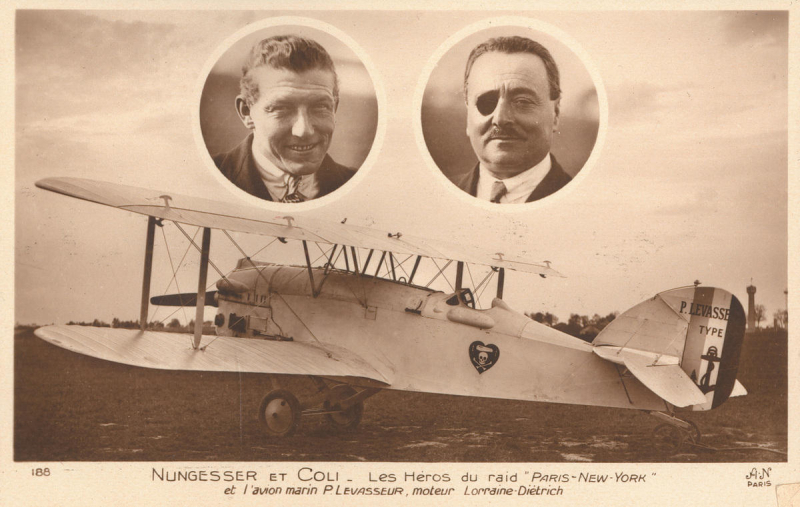 French aviators Charles Nungesser and François Coli, and their biplane l'Oiseau Blanc. Credits: Association La recherche de l'Oiseau Blanc. “It’s the greatest adventure of my life!” exclaims Bernard Decré. This sprightly 70-year old, president of the non-profit association formed to look for l’Oiseau Blanc, the plane of French aviators Charles Nungesser and François Coli, has devoted much of the last 4 years to his quest. On 8 May 1927, the two First World War heroes took off from Le Bourget airport in their biplane, l’Oiseau Blanc, aiming to make the first non-stop Atlantic crossing to New York in 36 hours. 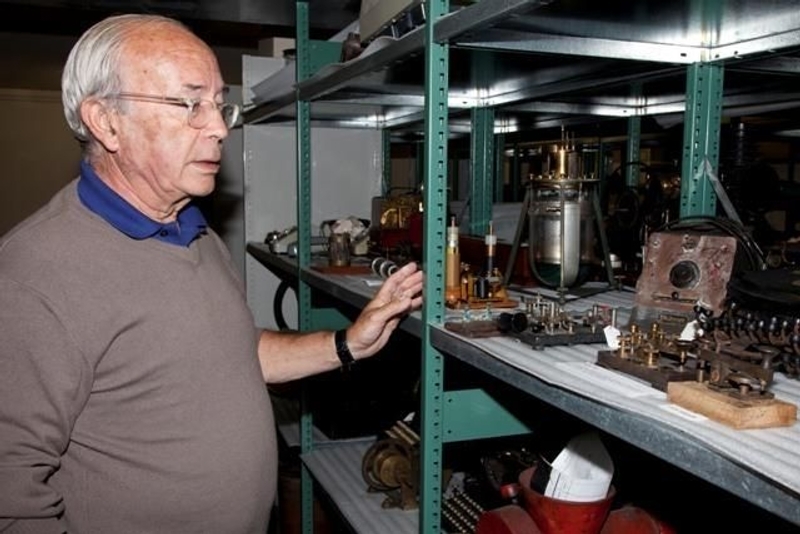 Bernard Decré looking for clues in the archives of Saint-Pierre-et-Miquelon. Credits: Association La recherche de l'Oiseau Blanc. After flying over Etretat and then the south of Ireland, they disappeared without trace. Christmas 2006, Ile-aux-Moines, Morbihan, France. Bernard Decré - fascinated by everything to do with the sea and flying, and the founder of the Tour de France yacht race - receives a present from his daughter, Angèle: Clive Cussler’s book The Sea Hunters. Intrigued by the chapter on l’Oiseau Blanc, he subsequently reads everything written about the subject, watches every film and hears a pile of testimonies. 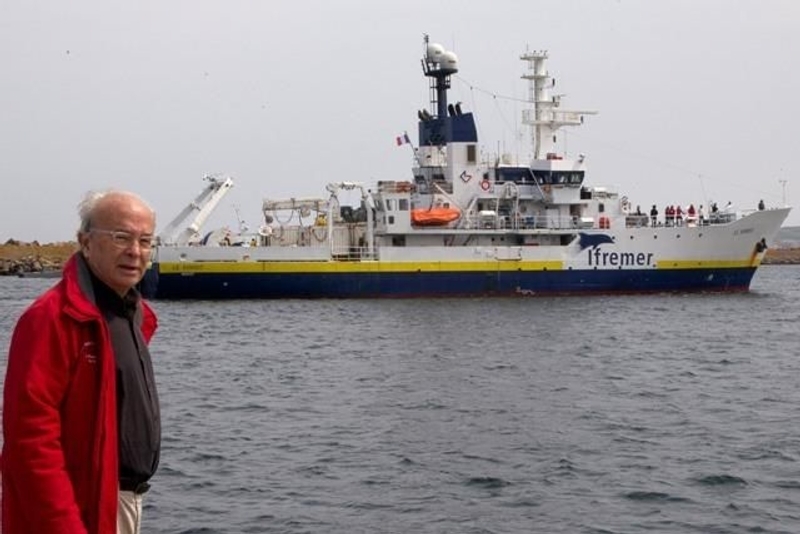 Bernard Decré in front of Ifremer’s vessel the Suroit during the search campaign conducted in July 2011. Credits: Association La recherche de l'Oiseau Blanc. By now Bernard Decré had got the bug for the aviators’ story, travelling the globe to consult records in the French, American and Canadian national archives. And that is how he became convinced about the series of events that led to the 2 aviators’ demise: he believes that as they approached Newfoundland, the aviators flew into a depression that forced them to attempt a landing on the water just off the French island territory of Saint-Pierre-et-Miquelon. In thick fog, the aircraft probably crashed near the harbour mouth, after a 32-hour flight. Nungesser and Coli had nevertheless made it across the Atlantic. The Swarm satellite undergoes integration at Astrium’s facility in Friedrichshafen. The ASM probes are mounted on the end of the boom (right). Credits: Astrium / A. Ruttloff / 2010. With the help of the local population and supported by oceanography vessels from the French Navy and Ifremer1, his association has already conducted 4 campaigns to look for the plane wreck off the coast of Saint-Pierre-et-Miquelon. Despite their efforts, all searches have so far failed to find anything. CNES is interested in the project and is set to supply the ASM2 high-precision magnetometer from ESA’s Swarm mission to study Earth’s magnetic field when the search for the plane resumes next spring. A few months before the launch of the Swarm mission, ASM will be mounted on a French Navy maritime patrol aircraft to attempt to detect the engine and propeller, the plane’s only surviving metal parts. 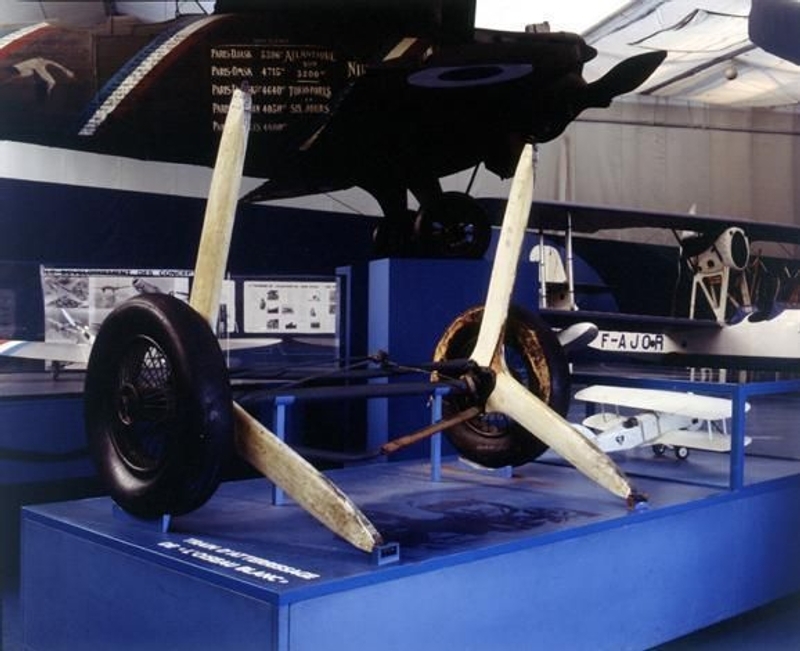 l'Oiseau Blanc’s landing gear, which it jettisoned after take-off, is on display at the Air and Space museum at Le Bourget. Credits: Association La recherche de l'Oiseau Blanc.